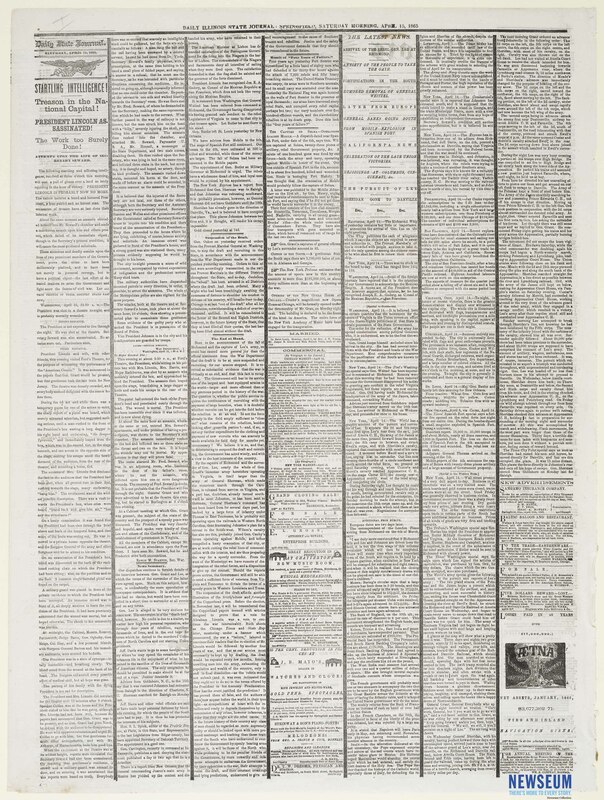 Interior page report in the Illinois Daily State Journal providing details on the assassination of President Abraham Lincoln and the attempted assassination of Secretary William Henry Seward. The article contains a 1:30 a.m. official dispatch from Secretary of War Edwin M. Stanton to Major General John A. Dix advising him of the attack. Known as "mourning rules," the wide vertical lines between the newspaper columns represent grief over the loss of an important person.